Join Natalie Graham at the AWP book fair! Natalie Graham and Brittany Perham are celebrating new books, and we're so fortunate to have the opportunity to hear them read from these incredible, award-winning collections. Charis and Cliterati pair up to present an inviting and fierce open mic & reading series on the 3rd Thursday of every month. This month's featured poet is Natalie J. Graham whose collection, Begin with a Failed Body, was selected by Kwame Dawes as the 2016 Cave Canem Poetry Prize Winner. This collection of poems begins rooted in the landscape of the U.S. South as it voices singular lives carved out of immediate and historical trauma. While these poems dwell in the body, often meditating on its frailty and desire, they also question the weight that literary, historical, and religious icons are expected to bear. Within the vast scope of this volume, the poems arc from a pig farmer’s funeral to Georges de la Tour’s paintings and Toni Morrison’s Beloved. With an ear tuned to the lift and lilt of speech, they wring song from sorrow and plant in every dirge a seed of jubilation. Rich in clarity and decisive in her attention to image, Natalie J. Graham writes resonant, lush poetry. but snippets of verse that sounded sacred. washing a hand over her face. of a black tangle of climbing vines. She waited, a doll half wooden and half glass. This is a Charis Circle From Margin to Center Literary Event. The Suggested Donation for Charis Circle is $5. Please note: the date of this session has been changed from October 5th to September 21st. 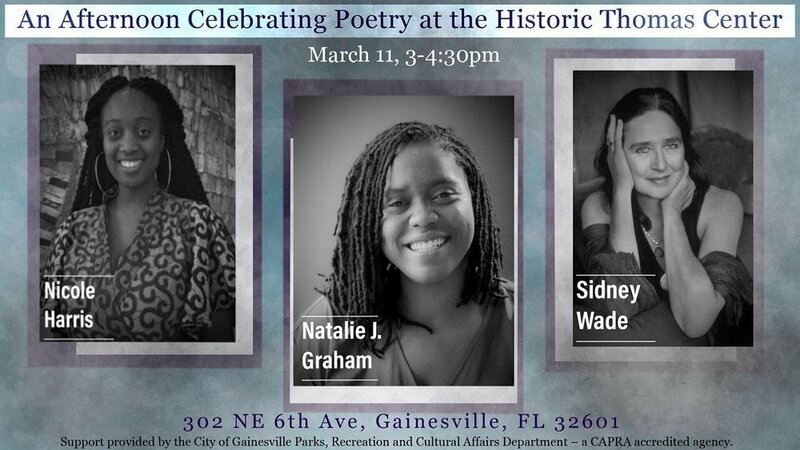 We hope you will join us for a workshop with the 2016 Cave Canem Prize winner, Natalie J. Graham!